Google’s confirmed its Android P update and we expect a long list of Galaxy devices to get upgraded to move on from Android Oreo. In fact, Android 9.0 P could arrive a little faster than Android 8.0. Most Galaxy users are focused on Android Oreo and rightfully so. The Android 8.0 Oreo update is currently pushing out to the Galaxy S8, Galaxy Note 8, Galaxy A series, and the Galaxy S7 with the next batch of updates is expected to arrive in mid-to-late May. Now that many Galaxy owners have upgraded to Android 8.0 Oreo they’re wondering about the future and what’s coming next. You can expect a slew of Android 8.0 Oreo bug fix updates, monthly security patches, and if we’re lucky, an Android 8.1 Oreo roll out. You can also expect an Android 9.0 P update for some, but not all, Galaxy smartphones and tablets. Earlier this year Google confirmed Android P, presumed to be Android 9.0 and known internally as Pistachio Ice Cream. The company released a Developer Preview (a beta) for its Pixel, Pixel XL, Pixel 2, and Pixel 2 XL smartphones. Android P will replace Android Oreo later this year and it’ll deliver an assortment of changes including new features, enhancements, tweaks, and fixes. It’s an exciting upgrade for Pixel users and it should be an exciting upgrade for Samsung Galaxy users as well. Samsung hasn’t confirmed Android P and those announcements probably won’t come for many months. That said, some Galaxy users are curious about what might happen down the road so we’ve put together an early Samsung Galaxy Android P roadmap. 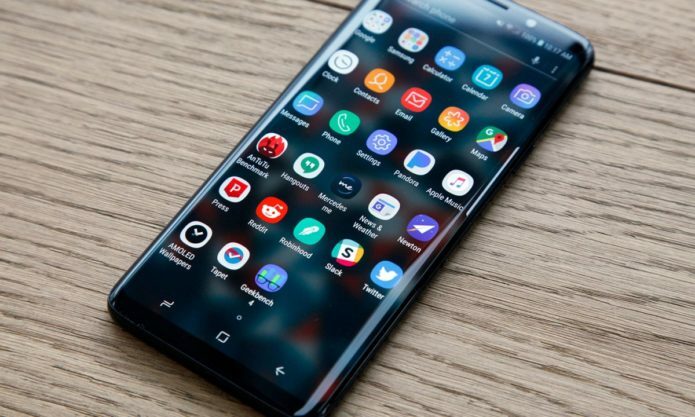 In this early guide to the Samsung Galaxy Android P update we’ll take you through some things you should, and shouldn’t, expect from the update and the release. It’s not on board the Galaxy S8/Galaxy Note 8/Galaxy S7 Android Oreo updates (at least not yet), but Google’s Project Treble, one of Oreo’s key ingredients, is on board the Galaxy S9 and Galaxy S9+. That’s excellent news. So what does Project Treble mean for Galaxy devices like the Galaxy S9 that come with Project Treble? It means Samsung will be able to release Android updates without having to wait for its chip manufacturers (Qualcomm) to send an update. And that could translate into a much faster Android P upgrade for the Galaxy S9 and other Galaxy devices. The Galaxy S9 and Galaxy S9+ both utilize Qualcomm’s Snapdragon 845 chip. We’ll believe it when we see it, but the days of getting Android updates months after Nexus and Pixel devices could end with Android P.
Unless it drastically shakes things up with Android 9.0 P, we expect Samsung to release an Android P beta for the Galaxy S9 and Galaxy S9+. Nothing is confirmed, but we expect the company to take a similar approach with the Galaxy S9, Galaxy S9+, (if we’re lucky the Galaxy Note 9) and Android P.
If you own a device like the Galaxy S8 or Galaxy Note 8 or if you own a mid-range Galaxy phone or tablet, your chances of seeing a beta are much slimmer. The most prominent question we’re currently getting from Galaxy owners is: “Will my device get the Android P update?” We’re not Samsung so we can’t give you a definitive answer, but here’s what we think will probably happen. The company’s slowly improving but popular devices like the Galaxy S6 and Galaxy Note 5 are still in danger of missing Android Oreo. That said, devices from 2017 and 2018 should be in the clear. The Galaxy S9 and Galaxy S9+ will get Android Oreo, so will the Galaxy S8 and Galaxy Note 8. Mid-rangers from 2017 and 2018 should get the upgrade to Android P as well. If you own an older device there’s a good chance you’ll have to root in order to get Android P features running on your Galaxy phone or tablet. Apple’s iOS updates roll out to everyone all at once, but Samsung’s Android software releases have a pecking order. Here’s what you can expect from Android P.
Once the company deploys software for its flagship devices, the update starts hitting older devices and mid-rangers. So what does this mean for Android P? It means the Galaxy S9 will likely be the first to get Android P. After that we’d expect the Galaxy Note 9, Galaxy S8, and Galaxy S8+ to be next in line followed by devices in the Galaxy J, Galaxy Tab, and Galaxy A series. Samsung’s shortened the gaps between updates for flagship and mid-range devices, but we still expect the more well-known, better adopted devices to get their Android 9.0 P upgrades first. Google’s Android P release date is set for sometime in Q3, probably July or August, which is the same window Samsung typically uses to announce its new Galaxy Note 9. There’s a chance it runs Android P out of the box, but at this point we’d expect it to come with Android Oreo. The Samsung Galaxy Note 9 rumor mill is starting to pickup speed as we push into the year. Samsung itself even confirmed the Galaxy Note 9 at MWC 2018. We don’t have a long list of confirmed features, but you can expect the Galaxy Note 9 to come with an assortment of hardware and software upgrades. We just don’t expect Android P to be among them. Android Oreo launched for Nexus and Pixel devices in August of last year. The Galaxy Note 8 also launched in August, with Android 7.1.1 Nougat instead of Android Oreo. With an Android P release scheduled for Q3 and the Galaxy Note 9 looking like it’ll launch in a similar window, it’s hard to picture Samsung delivering this kind of turnaround, even with Project Treble. A more likely scenario? The Galaxy Note 9 launches with the latest version of Android and Samsung Experience UI and gets Android P sometime later in 2018. And indeed, Samsung is reportedly testing Android 8.1 on the Galaxy Note 9 and that’s a much safer bet than Android 9.0 P.
Keep an eye out for Galaxy Note 9 rumors and benchmarks as we head into the fall. We should see its software leak well in advance. Google managed to push Android P out a whole lot earlier this year (March as opposed to May for Android Oreo), but that doesn’t mean Android P will arrive for Galaxy devices anytime soon. The Android P Developer Preview arrived early, but Google plans to put it through several months of testing before it’s released to the general public. According to Google’s Android P timeline, the company will push developer previews three and four in June. The fourth Android P beta will be the first release candidate. The fifth Android P developer preview for Pixel devices will arrive sometime in July or August followed by an official release in Q3. All of this is subject to change based on how the software does in testing, but we don’t expect Google to stray too much. Again, we expect Samsung to offer an Android P beta to Galaxy S9 users and we’d expect that beta to stretch for several weeks. If Samsung’s able to get Android P out this year, and that’s still a big if, it’s probably not coming until late 2018. We can’t predict which features Samsung will pick from Google’s version of Android P and what features it’ll deliver with its next user interface (outside of Bixby 2.0), but we can say this: Samsung’s Galaxy Android P updates probably won’t be created equal. If you own an older device, you might not get the full suite of Android P/Samsung Experience features. In most cases, features are held back due to software limitations or performance concerns. We expect Android P updates to be similar, but if you want the absolute best software experience Samsung has to offer (the most features, tweaks, etc), you’ll want to buy the latest device. If your device fails to secure an upgrade from Android Oreo to Android P don’t expect software support to just end. So even if the Galaxy Note 5 and Galaxy S6 don’t get Android Oreo, they’ll get security patches for the foreseeable future.